Koddid Kids Store is a 100% responsive template with a clean and neat design built with the modern e-commerce tendencies. 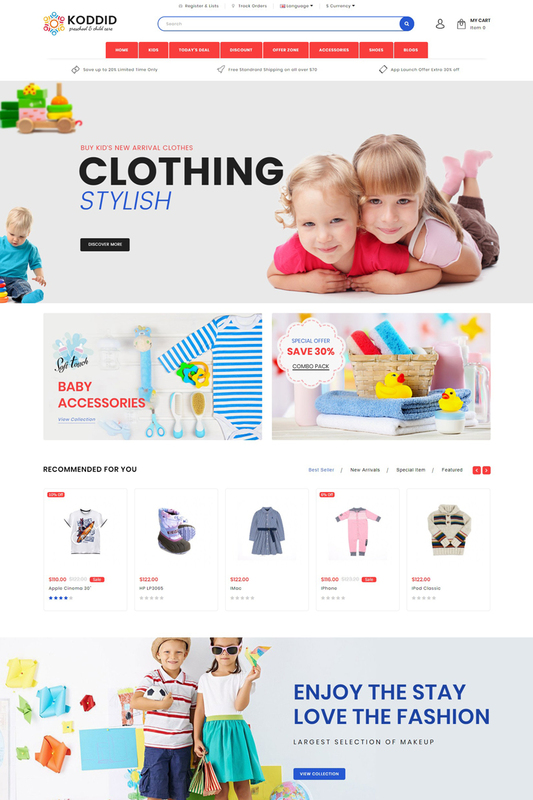 Koddid Kids Multipurpose Responsive Opencart Theme Specially Design For the E-commerce Store like Kids, Fashion, Clothes,T-shirt, Shoes, Fashion Store, Jewellery, Sportswear, Watch, Bag, Night Wear, Food, Designer, Cosmetic, Lingerie, Multipurpose theme etc. This Open Cart Theme is looking good with fresh colors combination. It comes with extremely beautiful design for your business website.